I love Nutella. I eat it by the spoonful. And I love baking with it! 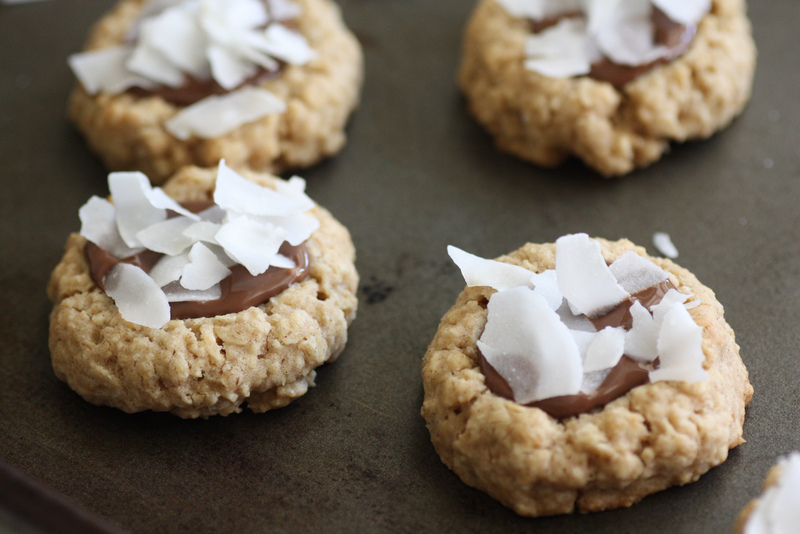 So here are my absolutely delicious coconut Nutella oatmeal cookie recipe. I'm a big oatmeal cookie fan. I love the rustic feel of the oats and the crunchy chewiness of the cookie, but I don't like mine with raisins, only chocolate chips. Here's my spin... 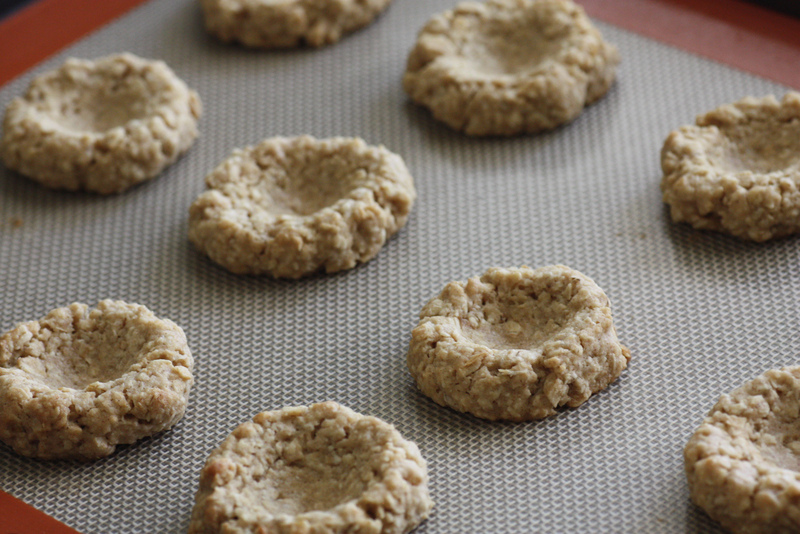 I experimented by making these cookies into thumbprints, and because of the stiff cookie dough, they held their shape quite well during baking. Then I spooned in a little Nutella and sprinkled big coconut flakes on top. They had the cinnamon oat-y taste I love. They were definitely crunchy on the outside, chewy on the inside. The Nutella gave them just the right amount of gooey chocolatey-ness, and there was just a hint of coconut to make them interesting. 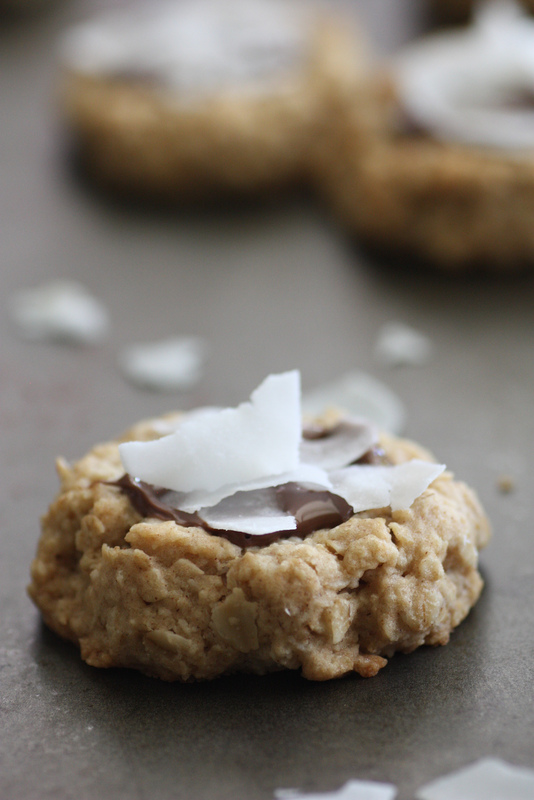 These is definitely my new go-to oatmeal cookie recipe! 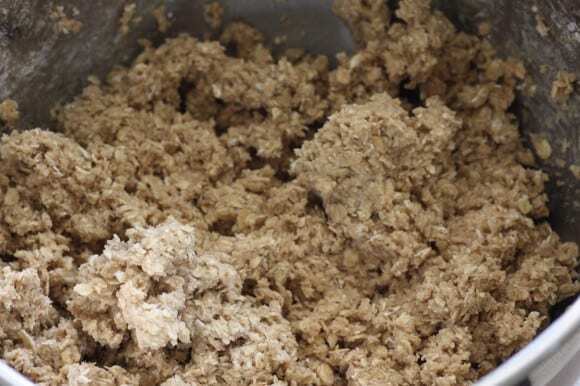 Mix the dry ingredients, flour, baking powder, cinnamon, salt, and oats, in a large mixing bowl. Add the egg, butter, sugar, and vanilla to a second mixing bowl. Beat on high for 2-3 minutes until creamy. Mix in the dry ingredients in three batches until combined. Place tablespoon sized balls onto a silpat or lightly greased baking sheet, and using your thumb or finger make indentations in each one. Bake 8 to 9 minutes until they just start to brown. When just out of the oven, use a measuring spoon to give the thumbprints a little more shape. Spoon Nutella into a ziplock bag. Snip a small corner of the bag, and pipe the Nutella on to the cookies. 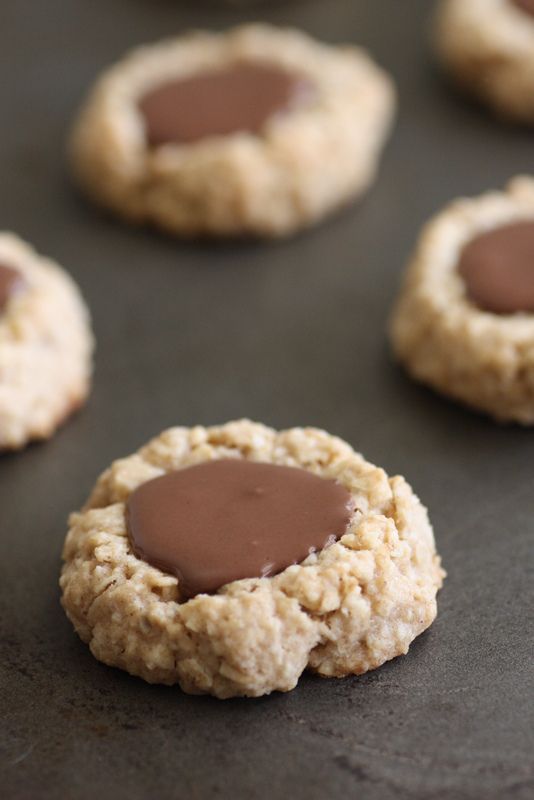 Shake the cookies a little to get the Nutella smooth. 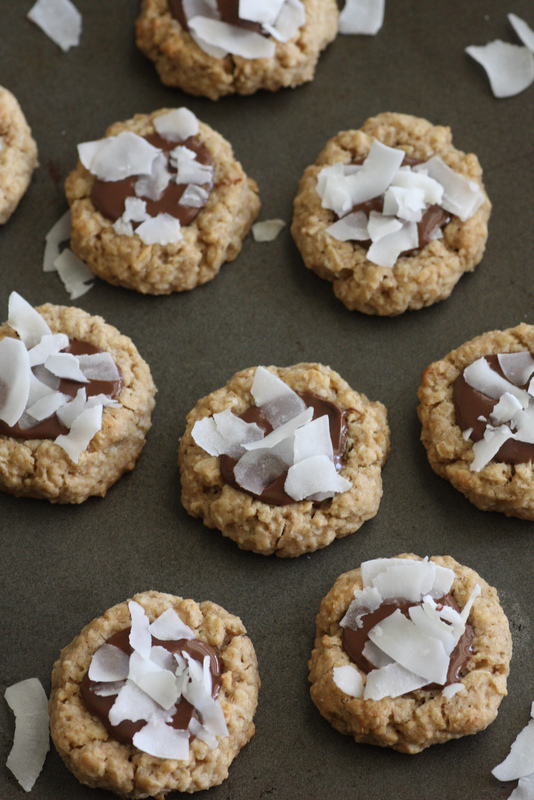 Sprinkle coconut flakes on top and there you have it! 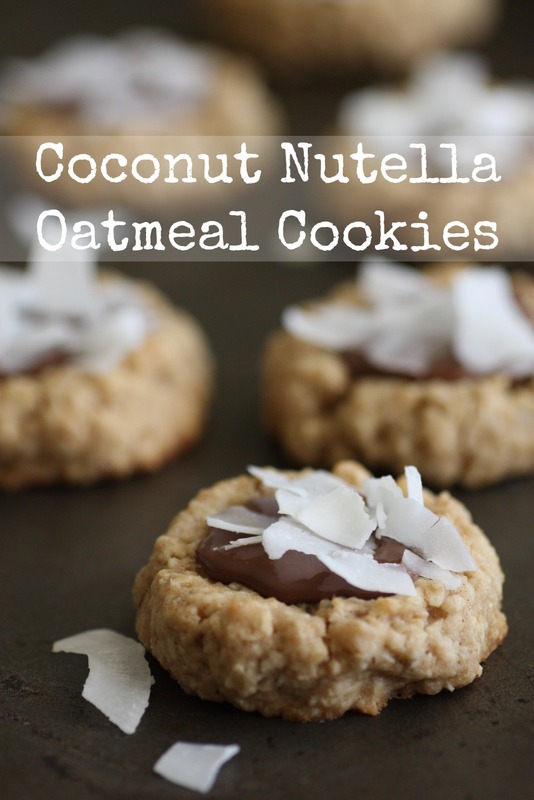 I've made 2 batches of these so far..this is the BEST oatmeal cookie recipe ever, and simple, too!! They've been a huge hit at work!! Thank you so much for sharing this!